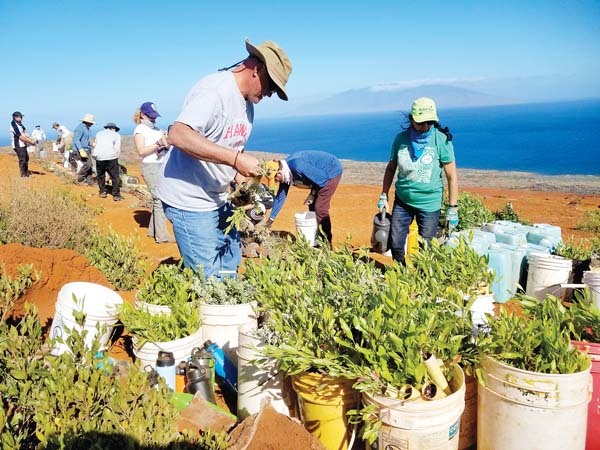 Keokea Hawaiian Homestead will host its fifth annual Ho’olaule’a from 10 a.m. to 4 p.m. Saturday at Keokea Marketplace. The event will showcase handmade arts and crafts, fresh produce, local plate lunches and beverages, tropical flowers and musical entertainment provided by Joe Cano and fellow homesteaders. The keiki tent will feature lauhala weaving, ohe kapala and other keiki crafts, led by Kumu Alaina. A lomilomi tent will feature practitioner Kawika Davidson. Keokea Marketplace is located at Mile Marker 17 on Kula Highway at Kaamana Street, a quarter-mile past Grandma’s Coffee House. Admission is free. Vendor applications are available. The vendor fee is $50 for a 10-by-10-foot space. For application forms, contact keokeamarketplace@gmail.com. The County of Maui will be holding a one-stop recruitment day this month for pool guard trainees, which can be the first step to a career in lifeguarding. The county’s Personnel Services and Parks and Recreation departments will be conducting the One-Stop Recruitment Opportunity, which begins at 8 a.m. Friday at War Memorial Sakamoto Pool in Wailuku. That day, applicants should be prepared to take and pass a written civil service exam, and swim 300 meters in 10 minutes or less. Following successful completion of the written exam and performance test, interviews will be conducted on the spot. Apply at www.governmentjobs.com/careers/Maui by noon Thursday to be eligible for the recruitment day. Minimum requirements are high school graduation and a valid driver’s license. For more information, call Cynthia M. Razo-Porter at Personnel Services, 270-7256, or Duke Sevilla, pool manager, at 270-6135. Charnan Carroll, preparedness specialist with the Maui County Emergency Management Agency, will be guest speaker at the noon meeting of the Kiwanis Club of Maui on Thursday at Tante’s Island Cuisine at the Maui Seaside Hotel in Kahului. Carroll will discuss the agency’s role in keeping Maui County prepared for disasters before they happen and how the agency coordinates post-disaster recovery operations. The meeting is open to the public and visitors are welcome; lunch is from the menu. For more information, contact Bryce Thayer at 871-2233. • 9 to 11 a.m. Wednesday for freshman class of 2022. • 1 to 3 p.m. Wednesday for sophomore class of 2021. • 9 to 11 a.m. Thursday for junior class of 2020. • 1 to 3 p.m. Thursday for class of 2019. The first day back for teachers is July 31. For the freshman class of 2022, orientation days are from 8 a.m. to 2 p.m. Aug. 6 and 7. New student orientation is from 10 a.m. to noon Aug. 7. The first day of school for all grades is Aug. 8. Know Thyself as Soul Foundation, Hawaii will sponsor a free interactive presentation at 7 p.m. Tuesday at Unity Church of Maui, 483 S. High St. in Wailuku. The presentation will cover universal principles and a practice to transform one’s life, according to an announcement. Fundraiser planned at Flatbread Co.
Big Brothers Big Sisters of Maui will have a benefit fundraiser dinner and silent auction at the Flatbread Co. in Paia from 5 to 10 p.m. Tuesday. A portion of the proceeds from the pizza sales will benefit Big Brothers Big Sisters of Maui. Flatbread Co. is located at 89 Hana Highway. Baldwin High School’s schedule pickup and school fees payment will take place at the school on Tuesday from 8:30 to 10 a.m. for seniors and from 10 a.m. to noon for freshmen. The schedule for juniors is 8:30 to 10 a.m. Wednesday and the schedule for sophomores is 10 a.m. to noon Wednesday. Presale barbecue chicken dinner tickets will be sold on both schedule pickup days for $4 each, cash only, to the BHS families attending the open house Aug. 23. The dinner includes rice, vegetables and juice. New students who have not preregistered must call the registrar office at 727-3200 as soon as possible to make an appointment. Outlets of Maui, located in Lahaina on Front Street, will host Back to School Expo 2018 from 2 to 6 p.m. Saturday. Courtesy of Skechers, the first 100 kids at Main Stage will receive a free drawstring backpack. Additional Back to School Expo 2018 events will include live entertainment, an anti-bullying message board by the Boys & Girls Club, a Plastic-Free Lunch Project by Swell Initiative, and a back to school supply drive by Wishing Well. Drop-off boxes will be available for donations. There will be a free Zumba activity for people who donate a gently used teddy bear or other stuffed animal from 9 to 11 a.m. Saturday at Binhi at Ani Filipino Community Center, 780 Onehee Ave. in Kahului. All donations will be given to the Lahaina Police Department so that police officers can give a stuffed animal to any child present during emergency calls. This is a family-friendly event, according to an announcement. Children must be supervised. Water and healthy snacks will be provided. This event is sponsored by Aloha Independent Living Hawaii. For more information, call 866-3783. Blair Jimenez, community outreach coordinator for Project Vision, will be the speaker at the next Vision Impairment and Blindness Education and Peer Support Group meeting from 1 to 2:30 p.m. Wednesday at Ohana Health Plan, 285 W. Kaahumanu Ave., Suite 101B in Kahului. Jimenez will talk about the only mobile health-screening program (with a focus on eye health) that has provided free services to more than 55,000 patients across the state, including seniors, children, immigrants and individuals with disabilities. For more information, contact Kathleen Kenney at kathleenk@alohailhawaii.org or 866-4690. Dr. Mark Barry will give a talk titled “End of Life Planning” at the noon meeting of the Rotary Club of Kihei Wailea on Wednesday at Mulligans on the Blue. Dr. Richard Navarro will give a talk titled the “Future of Hydroelectricity” at the noon meeting of the Rotary Club of Kahului at Tante’s Island Cuisine in the Maui Seaside Hotel in Kahului on Monday. Navarro will describe his game-changing technology to produce electricity on the ocean. He is the chief executive officer and chief innovation officer of Creative Minds Solutions, LLC and Renewable Ocean Energy Inc. The Maui Historical Society, in collaboration with Hui No Ke Ola Pono and Papa Ola Lokahi, is hosting the exhibit “Ola Pono, The Evolution of Hawaiian Health and Well-Being” on Maui. In conjunction with the exhibit, which concludes at the end of July, health educator and lomilomi practitioner Kaunoa Ho’opai will share basic information about living with diabetes at a presentation titled “Diabetes 101” at 5 p.m. Tuesday. For further information, call 244-3326.